The 27-year-old attacking midfielder, who on Wednesday will be pivotal as Manchester City aim to stay on track for a quadruple this season in overhauling Tottenham’s 1-0 first leg lead in their Champions League quarter-final clash, has bounced back from two knee injuries this season to the kind of form he has regularly displayed since City paid £54 million to German side Wolfsburg for him in 2015. However, it may never have come to pass like that but for the deep hurt he suffered aged 15 at the hands of the family in Genk, who took him in when he was with the club’s academy. 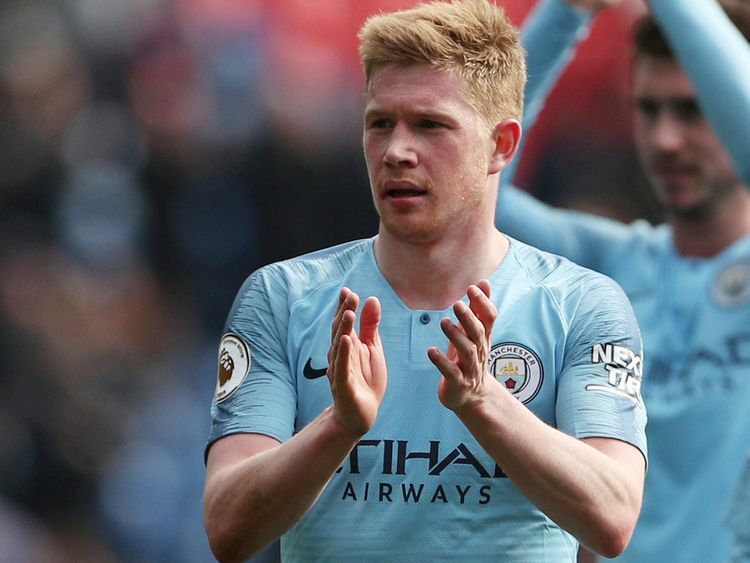 De Bruyne, who admitted his negative pre-conceived ideas about City teammate Raheem Sterling were wide of the mark and in fact he is “one of the nicest most humble guys” in the sport, said he took his immediate angst out on the football.